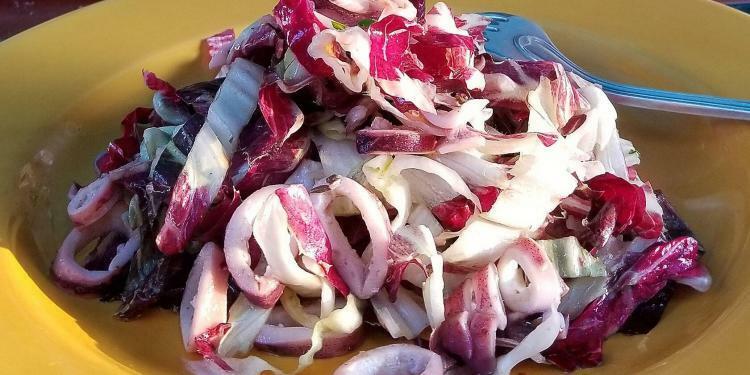 This starter salad of grilled calamari and radicchio is easy to prepare once your guests have arrived. The marinade of olive oil, garlic and herbes de Provence is light and does not overpower the ingredients. Best of all, this dish is really (almost) too pretty to eat. But, don’t resist it’s best consumed warm.